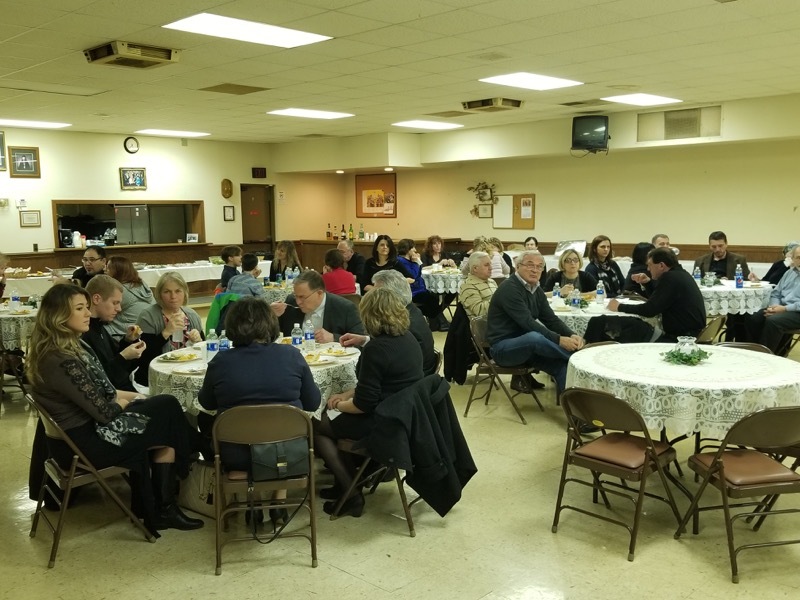 On Sunday, February 18th, the Church-School congregation of St Elijah in Warren, Ohio hosted faithful from numerous parishes across the Cleveland Deanery for the Great Lenten Vesper services. In the spirit of forgiveness and repentance the evening began with Lenten Vespers concelebrated by Very Rev. Protosingelos Sava (Medakovich) of New Marcha Monastery in Richfield; Very Rev. Protopresbyter – Stavrophor Vladimir Demshuk, retired priest from St Elijah in Warren; Very Rev. 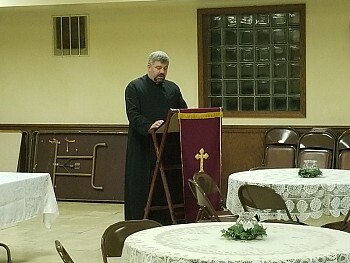 Protopresbyter Milan Pajic of St Archangel Michael in Akron; Rev. Presbyter Vedran Grabic of St George in Hermitage, Pennsylvania and temporary administrator of this parish. Following the service, all in attendance gathered in the parish hall for a Lenten meal served by the Circle of Serbian Sisters of St Elijah. The evening concluded with a stirring seminar offered by Very Rev. Protopresbyter Milan Pajic on the topic, "True Repentance of our Sins”. Father Milan offered numerous examples of great Church father and mothers who left a deep impression on church ascetic life. He explained that people like them still exist in this world and that all of us are invited to imitate them through our spiritual life. The Church blessed this Great Lenten period so anyone of us can take his cross and with help of our great ascetic fathers and mothers step on the path of spiritual growth. So, in the end all of us can together experience joy and happiness of Christ’s resurrection. Indeed, it was a beautiful evening of prayer, fellowship, and spiritual enlightenment.